To make the bechamel, melt butter and olive oil together in a large skillet over medium-low heat. 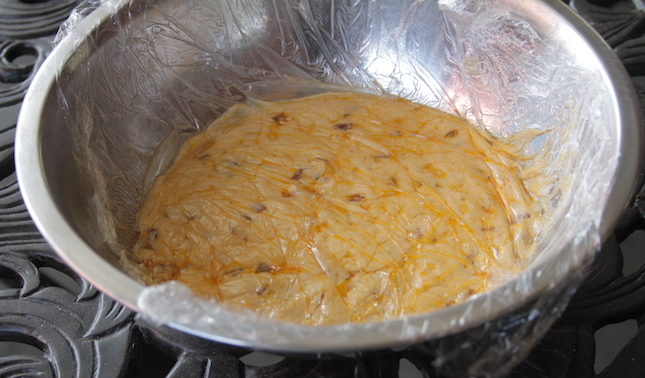 Add the flour and whisk for about 2 minutes until the paste is lightly toasted. 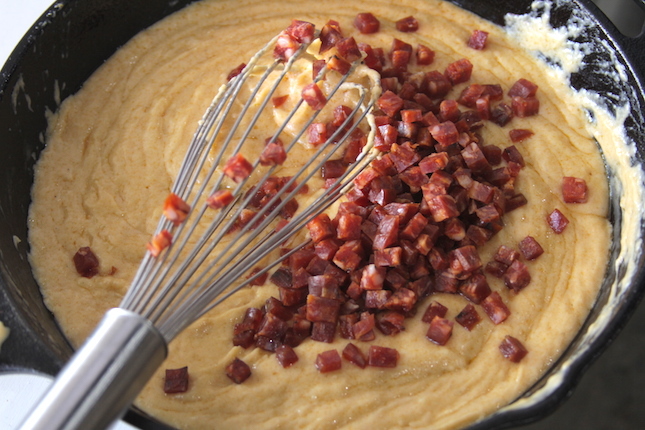 Increase the heat to medium, and gradually whisk in the milk until the mixture is smooth. 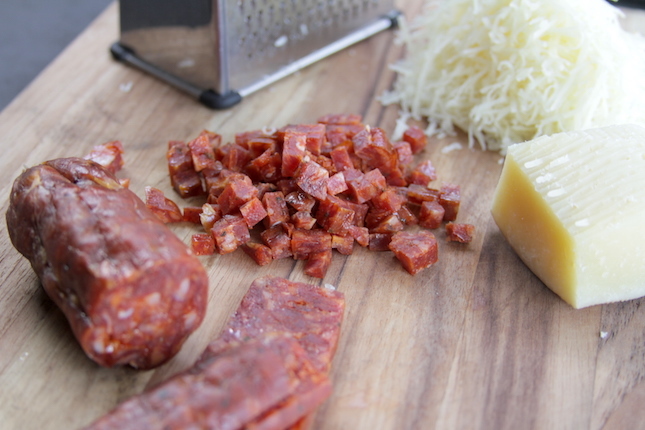 Stir in the grated cheese, chorizo, Code 3 Spices Grunt Rub and paprika. Season with salt and pepper as necessary. You now have a variation of a Mornay sauce. Transfer the Mornay to a greased bowl, place a layer of plastic wrap directly on the surface of the sauce and refrigerate until totally cool and firm, about 2 hours. Preheat your Yoder Smokers YS640 to 500ºF. Remove the Mornay from the refrigerator. 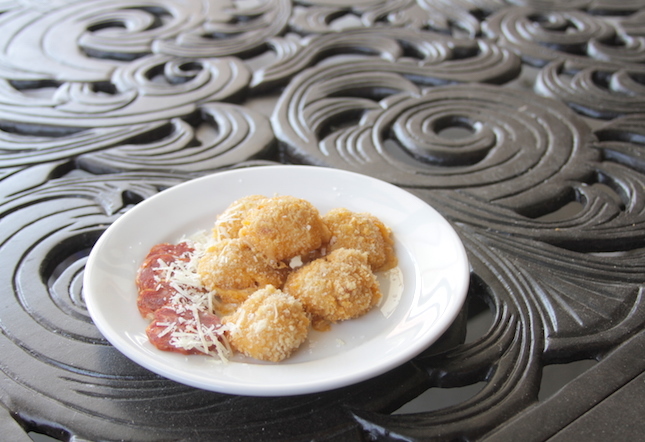 Use your hands to form the firmed sauce into little balls, about 1”-1.5” in diameter. Prepare to bread the balled sauce. 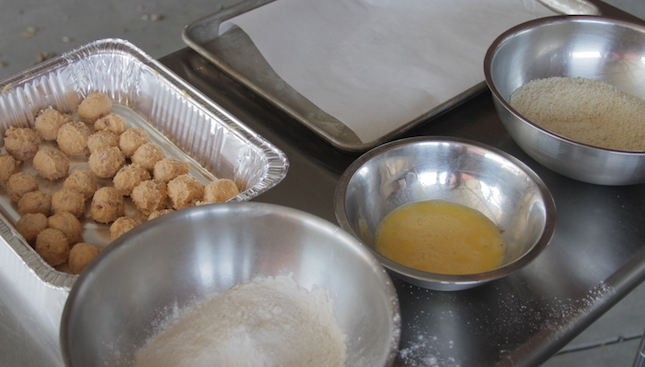 Fill a small bowl with 1 cup of flour, then another bowl with the whisked eggs, and a third bowl with panko. 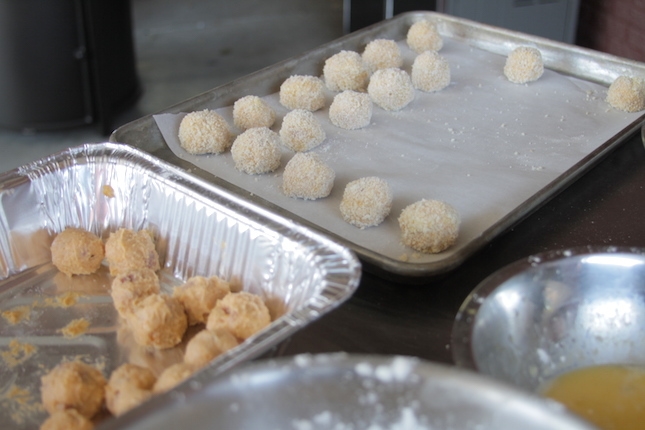 Take one filling ball and dip it in the flour until completely coated, then the egg mixture, and finally the panko mixture until it is completely coated. Place ball on a parchment-covered baking sheet. Repeat with remaining filling balls. Then spray the balls with cooking spray or misted olive oil. 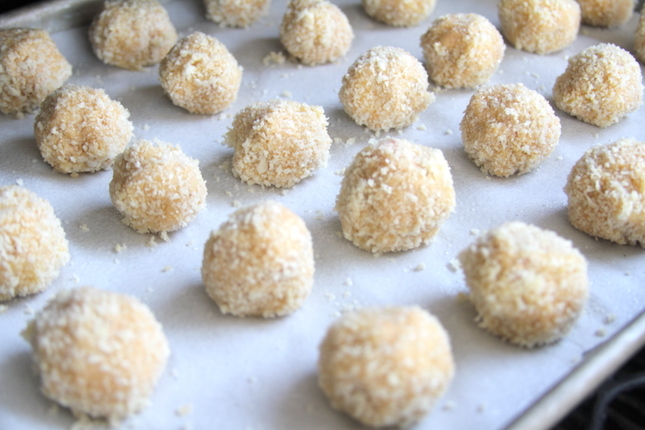 Transfer sheet to the refrigerator to firm the croquettes, so they don’t melt too quickly in the oven. Place the baking sheet in the oven and bake for about 20 minutes, or until the breading is golden and the filling is melted and bubbly. Remove and serve immediately.